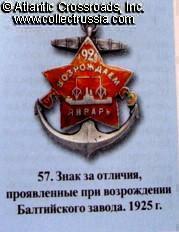 "Badges and Jettons of the Russian Navy, 1917-1945". 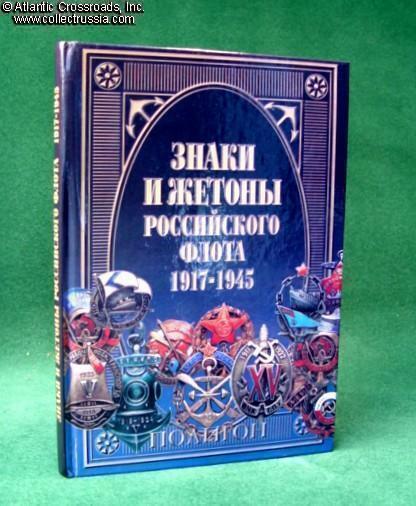 "Badges and Jettons of the Russian Navy, 1917-1945"., Dotsenko, Boynovich and others,	St. Petersburg C. 2002 Russian text, hard laminated cover, 144 pp, 9" x 6.5". 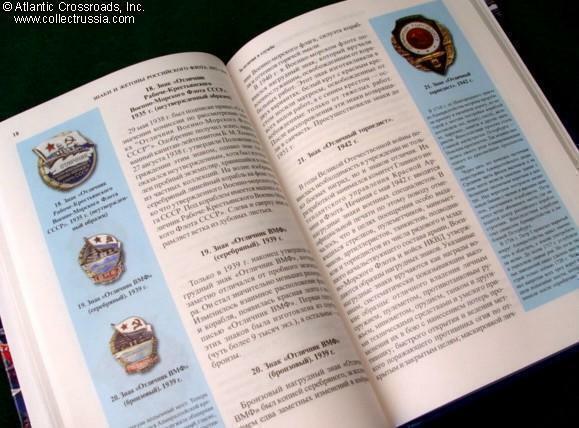 Very comprehensive research, with color photos of over 170 badges. Each photo is accompanied by a very detailed description and history of the badge. The book contains massive amount of previously unpublished information. Many of the items presented in it are only marginally related to navy - such as merchant marine, sports and state security awards. 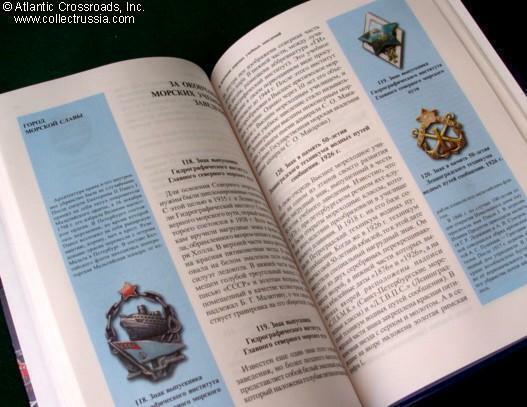 Therefore, the book represents a valuable resource for most collectors of Soviet badges. 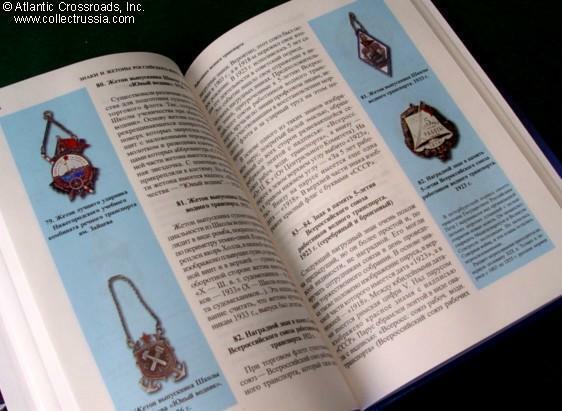 Note, this is one of a two volume set, please see the listing for "Badges and Jettons of the Imperial Russian Navy, 1696-1917."